MOSCOW, September 13. /TASS/. Roscosmos head Dmitry Rogozin and NASA Administrator Jim Bridenstine have agreed to hold the first personal meeting at the Baikonur Cosmodrome on October 10, the corporation’s press service reported on Thursday. "The heads of Roscosmos and NASA have agreed to hold the first personal meeting at the Baikonur Cosmodrome on October 10 this year during a visit of the NASA administrator to Russia and Kazakhstan to take part in the events connected with the upcoming flight to the ISS of Russian cosmonaut Alexei Ovchinin and American astronaut Nick Hague on board the Soyuz MS-10 piloted spacecraft," the press service said. The launch of the Soyuz MS-10 spacecraft is planned for October 11 from the first launching platform of the Baikonur Cosmodrome. Dmitry Rogozin and Jim Bridenstine discussed the air leak from the International Space Station through a hole in the hull of the Soyuz MS-09 spacecraft. The teleconference was requested by the Russian side, Roscosmos said on Thursday. 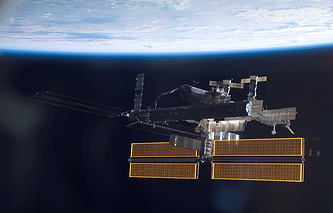 Progress of works on board the ISS was reviewed. "Rogozin briefed his US counterpart on the decision to form a Roscosmos corporation-led panel of inquiry into the causes of the leak from the manned spacecraft Soyuz MS-09, attached to the ISS," Roscosmos said. 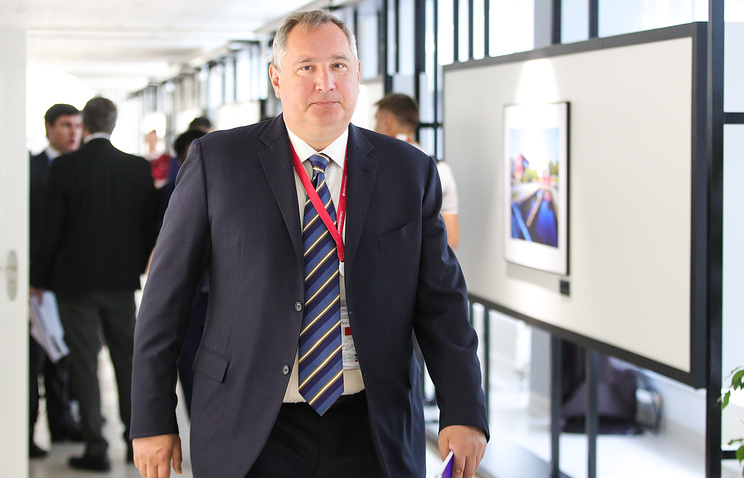 The parties confirmed the need for further close interaction between Roscosmos and NASA experts in identifying and eliminating the causes of the air leak. The need was noted for pushing ahead with scheduled works on the ISS and "continued cooperation by NASA with Roscosmos in investigating the situation on board the Soyuz MS-09 spacecraft," Roscosmos said. Rogozin and Bridenstein took note of media speculations about the likely causes of the incident and agreed "to refrain from any preliminary conclusions or explanations until the end of the investigation." The chiefs of Roscosmos and NASA confirmed the determination of the ISS crew to maintain the safe operation of the station and the spacecraft attached to it for the success of tasks set to them. Some media on Wednesday speculated that US astronauts might have been somehow involved in the appearance of a hole in the hull of Soyuz MS-09. The daily Kommersant quoted its sources as saying that premeditated damage by NASA astronauts was among the priority lines of inquiry the Russian commission was conducting. Roscosmos has refrained from comment.